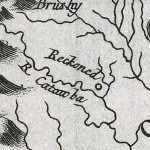 Determining the origins of unusual place names found on early maps of Carolina is a fun, and perhaps nerdy, exercise. Some, such as Lockwood Folly, have interesting, and sometimes obscure, historical origins. 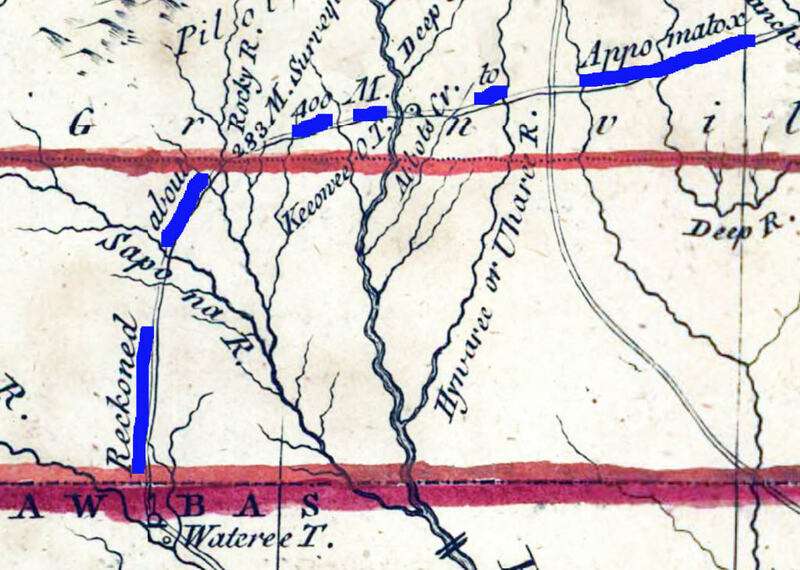 Others, like Murder and Surveyor’s Ferry, have their origin in copying errors by cartographers and/or engravers. 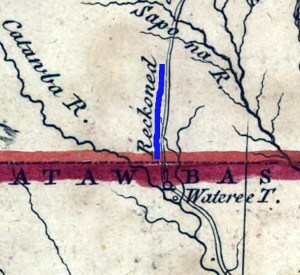 What about Reckoned, on the Catawba River at the current site of Fort Mill, SC? 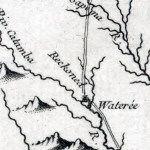 Reckoned is shown as a place name on Jacques-Nicolas Bellin’s 1757 Carte de la Caroline et Georgie (including its own little circle!) and Bellin’s 1764 La Caroline dans l’Amerique. I reckon one can’t always rely on maps for accuracy. Our previous “What’s in a name?” posts can be found right here. Comments, corrections, or questions are greatly appreciated. Please use the “What’s on your mind?” box below. This entry was posted in 18th Century, Map errors, What's in a name? and tagged jacques-nicolas bellin, john mitchell by crmaps. Bookmark the permalink. Well written article. Google maps has similar issues.